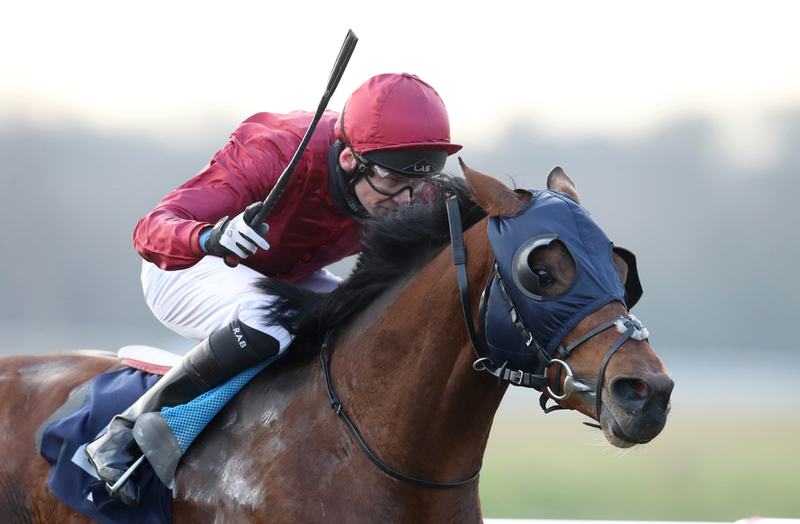 The Aidan O'Brien-trained Never No More kissed goodbye to Kevin Prendergast's Madhmoon's unbeaten record so far, when taking the Listed 2,000 Guineas Trial at Leopardstown on Saturday. Sent off a 4/6 favourite, the three-year-old looked highly promising on the evidence of his Group Two win last September - but both of his career efforts have come over a mile. He just did not quite have the pace to race over seven, and was brushed aside by Never No More, who was already a winner in a sprint this season at Naas back in March. Madhmoon will move onto the 2,000 Guineas itself, and the run on Saturday will certainly give him an advantage on the Rowley Mile at Newmarket against rivals that will be returning there at the first time of asking. Gypsy Island rode out an emphatic winner of the Listed Flat Race at Fairyhouse on Sunday afternoon, making it three wins from three in bumpers for trainer Peter Fahey. She was impressive at Naas a month ago, bouncing back from disappointment on her first hurdles start at Navan in November, when failing to justify an even-money price. Was always going to take some stopping under Derek O'Connor, and went clear on the run-in from the Willie Mullins-trained Yukon Lil who failed to reel the winner in. A return to hurdles beckons, but a summer break could be in store for the five-year-old mare, first who looks a big name for JP McManus come the future. Ghaiyyath ran away with the Group Two Prix d'Harcourt at Longchamp on Sunday, continuing what is set to be a big year for Charlie Appleby on the International stage once again. Twice a winner at Newmarket last term, this son of Dubawi made all at 4:00pm in Paris and was already five lengths clear at halfway. He was driven clear by William Buick to maintain the advantage, but when the jockey realised he still had plenty of horse under him, he heavily eased his mount close home to win by a couple of lengths - but it could have been double figures. Easy as you like, and a smart performance from the four-year-old.